It's official. This might be the best pizza I ever made. Caramelized, fresh pineapple, hickory smoked turkey, and Skellig....Kerrygold's newest cheddar cheese. OMG, a whole new level of cheesy goodness. There is a kind of magic that happens when you caramelize things. Doesn't this make your mouth water? A little sugar, a little butter, and a bit of patience is all it takes to go from ordinary pineapple to out-of-this-world pineapple. 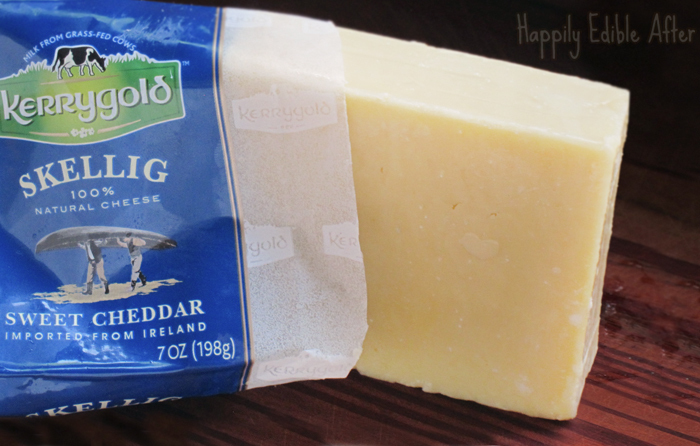 If you aren't a fan of Kerrygold cheese yet, it may be time to break out of your rut. Irish cheeses made from milk from grass-fed cows...it doesn't get any better! When I was shopping for my pizza toppings, I ran across the Skellig. Hadn't seen it before and just had a feeling I needed to try it. Wonderfully sweet and nutty. It's good to trust your instincts! 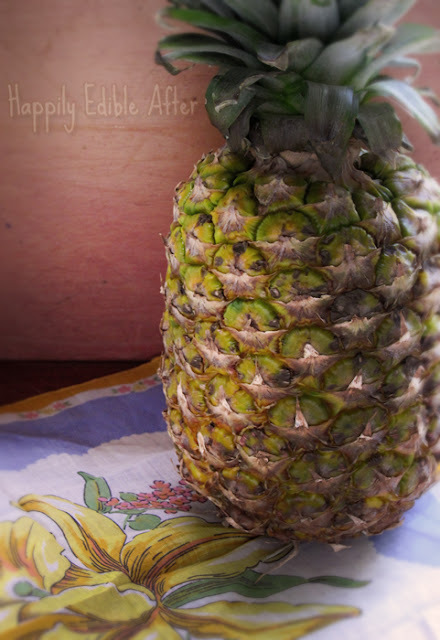 I don't know about you, but I tend to dream about Hawaii when I see a pineapple. 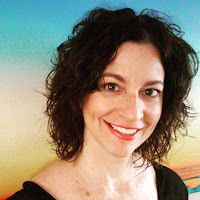 A friend, who is there now, is posting her pics on Facebook daily - just gorgeous stuff. Melt the butter in the skillet and place wedges in. Sprinkle with sugar and toss to coat. 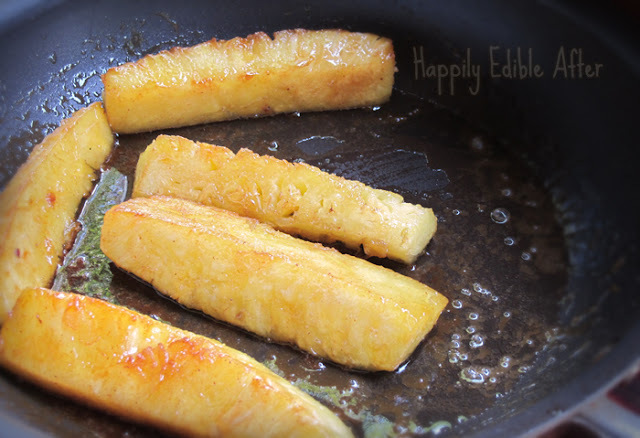 Cook pineapple, turning regularly until brown and caramelized. Remove from pan and cool. Cut into bite-sized pieces. Grease a pizza pan lightly with olive oil spray. Place pizza crust on top. Spread the tomato paste around crust, leaving at least 1/2 inch border. 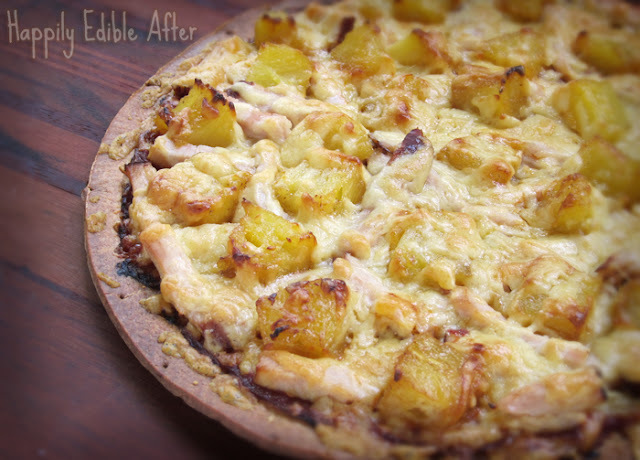 Add toppings of pineapple, turkey, and Skellig cheese. 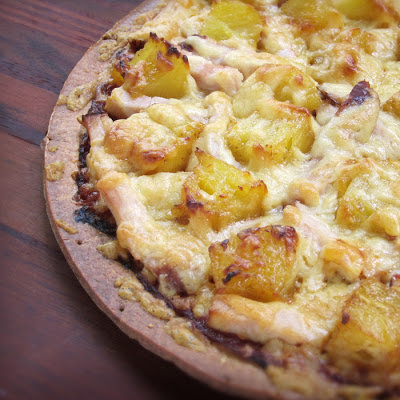 Delish.....with a gluten free crust, lots of folks could enjoy this!